Pet owners will tell you that most pet stores aren’t actually for our furry friends—they’re for the owners. 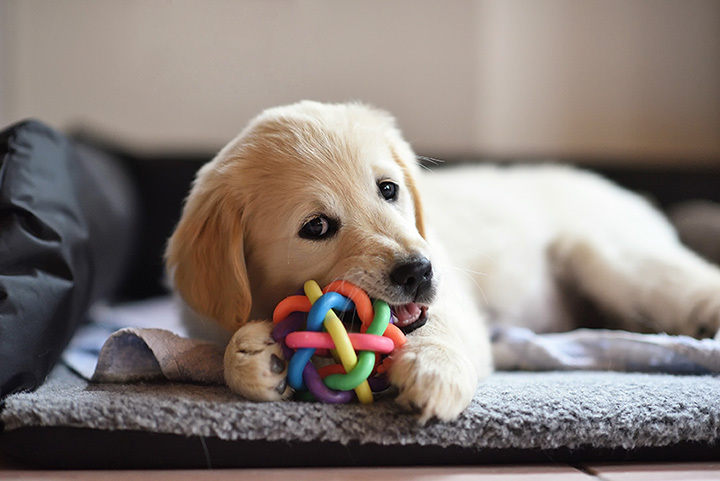 Few experiences are more rewarding than watching your pet play with other animals or get excited about a new toy. At the following 10 pet stores, you’ll always have a new reason to go in and get something special for the animal companion in your life. Natural Pet Essential’s mission is to “provide valued customer service and consultation on natural animal wellness by educating and supplying Charlottesville area pet owners with natural nutrition, superior supplements and high-quality products.” To that end, they stock all-natural pet food, treats, and supplements, including dry and canned diets, raw formulas, and health treats. In addition, you can take advantage of their grooming supplies, eco-friendly toys, hand-made pottery, nutrition consultation, and wide variety of leashes, collars and crates. Kriser’s Natural Pet has four locations in Virginia, including ones in Middleburg, Arlington, Falls Church, and Fairfax. They carry a staggering amount of quality brands, including Acana, Alzoo, Bixbi, Chuck It, Hare of the Dog, and over a hundred more. In addition to providing natural materials, many locations also host adoption events. PJ Pets is “one of Richmond, Virginia’s largest locally owned and independent pet supply and dog grooming shops.” They sell pet food, accessories, treats, bones, and toys, and offer grooming services. Toys include tough chew options. Make an appointment ahead of time for a full groom or stop by any time for a nail appointment. Gordon’s Pet Store in Warsaw, Virginia, is a pet supply store that also sells fish, turtles, and other small animals. Supplies for sale include tanks, food, toys, fishing tackle, tank equipment, and much more. The website is a bit lacking in information, so we recommend calling ahead of time with any further questions. Zoom Room in Virginia Beach, Virginia, is a dog training and pet store with a variety of unique offerings. Their dog training options include agility training, obedience training, puppy classes, and enrichment classes. Try the Urban Herding class for shepherds or the Hollywood Dog class to teach your dog hand signals. The shop includes handmade treats and premium gear, non-destructible gear and toys. The Pet Castle, based in Hayes, Virginia, primarily distributes via their online website, but also has retail partnerships across the state. Their core values are to be adventurous, create long-term relationships with their customers, pursue growth and learning, inspire happiness, and make sure customers are pleased. To those ends, they offer products suited for birds, cats, dogs, and gifts. You’ll find bird feeders, cages, and litter, cat beds, clothes, collars, and toys, as well as dog beds, clothes, hair accessories, toys, and much, much more. Peruse their website for a full listing of their fantastic stuff. The Pet Nutrition Center has locations in Burke and Woodbridge, Virginia. As their name implies, they have a focus on organic, nutritious food, stocking premium products for dogs and cats. Brands include EVO, Verus, Dave’s Pet Food, Stella and Chewy’s, K-9 Craving, Primal pet Foods, and much, much more. Check out their website for a wide variety of nutrition-based articles and more information, including about their adoption events. Dog Krazy has been voted Favorite Pet Store for two years running by the readers of the Free Lance-Star newspaper, and their Favorite Groomer of this year. Dog Krazy also has locations in Stafford and Richmond, Virginia. They sell pet supplies, offer nutrition consultation, education, and “apawthecary,” which includes “a wide variety of natural and homeopathic remedies for pet ailments.” Shop online or stop in one of their four stores. RedRidge Pet Market, based in Richmond, Virginia, a locally owned pet supply store stocking treats, chews, training aids, bowls, beds, toys, cages, natural supplements, food, and more. In addition to all of the best brands, RedRidge offers regular events, including nail clippings, holiday sales, pack walks, taste testing, and more. Stop by their Richmond brick and mortar location or stock up on their website. Whole Pet Central has two Virginia locations, one in Ashburn and one in Herndon. They were awarded the Best of NoVa award by Northern Virginia Magazine, and are an American Express Card Member Favorite (among many other accolades). Items for sale include dog, cat, and small animal food, supplements, health and grooming, and toys. Frequent visitors can sign up for the Whole Pet Central Healthy Rewards Program to earn points toward future purchases.